The theory of the inflationary multiverse changes the way we think about our place in the world. According to its most popular version, our world may consist of infinitely many exponentially large parts, exhibiting different sets of low-energy laws of physics. Since these parts are extremely large, the interior of each of them behaves as if it were a separate universe, practically unaffected by the rest of the world. This picture, combined with the theory of eternal inflation and anthropic considerations, may help to solve many difficult problems of modern physics, including the cosmological constant problem. In this article I will briefly describe this theory and provide links to the some hard to find papers written during the first few years of the development of the inflationary multiverse scenario…. So which is it? And why should we care? 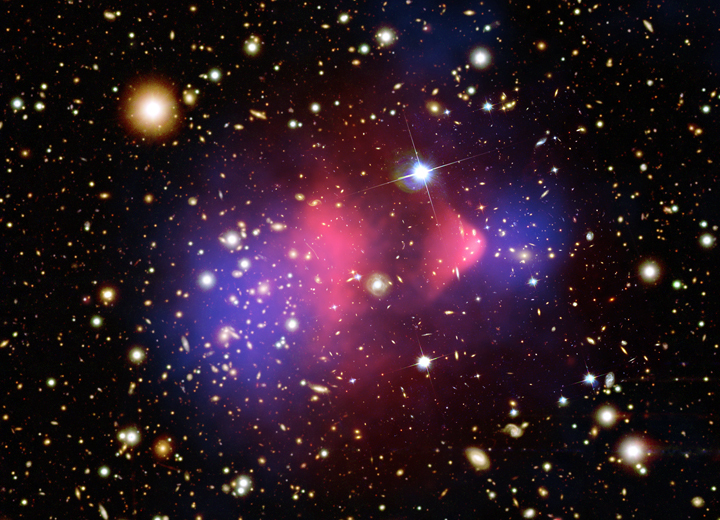 Grasping the answer requires that we first come to grips with the big bang….. 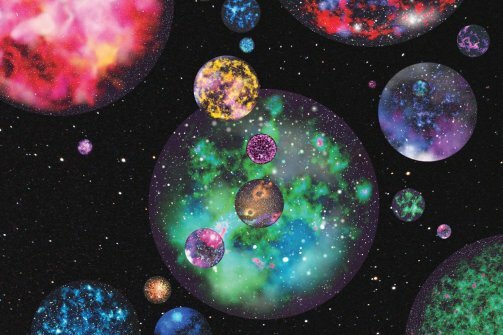 The idea of a multiverse is highly controversial. One problem is metaphysical: the universe seems big already, without having to contend with a potentially infinite number of others. Yet perhaps a bigger problem is scientific. If observations are limited to our own observable universe, how can scientists test whether a bigger multiverse exists? The answer to that has been that, from time to time, another universe in the multiverse might collide through ours, leaving a “wake” in its path. But figuring out precisely what such a wake would look like hasn’t been easy. Now, however, Kris Sigurdson of the University of British Columbia in Vancouver and others say they have calculated the detailed features of a cosmic wake. They have considered the possibility that our universe collided with another before our inflation period, because, they say, the latter would have erased the wake’s evidence. Even though this happened more than 13 billion years ago, the wake would have been preserved in the cosmic microwave background (CMB), which was formed some 380,000 years into the universe’s existence. The focus of the prediction is in the polarization of photons in the CMB. Photons have two transverse polarization states, and any that come from a certain region in the CMB might be mostly in the same polarization state, or in a mix of both. Sigurdson and colleagues calculate that, providing the wake was big enough, it ought to imprint the CMB with a characteristic “double peak”: two close rings where the photons sway towards a single polarization state. The prediction is not strictly the first to arise from multiverse theory. In 2007 researchers at the University of California at Santa Cruz, US, also suggested that a cosmic wake could imprint itself on the CMB; then, earlier this year, a group led by Hiranya Peiris of University College London found hints that this prediction was true. But these predicted features were too vague, say Sigurdson and colleagues, and might have existed in the CMB anyway. “[Our] features represent the first verifiable prediction of the multiverse paradigm,” write Sigurdson and colleagues in their preprint, which they uploaded to the arXiv server last month. “A detection of a bubble collision would confirm the existence of the multiverse, provide compelling evidence for the string theory landscape, and sharpen out picture of the universe and its origins.” Physics World was unable to speak to the researchers about their preprint because they are submitting it to a journal that employs an embargo policy. 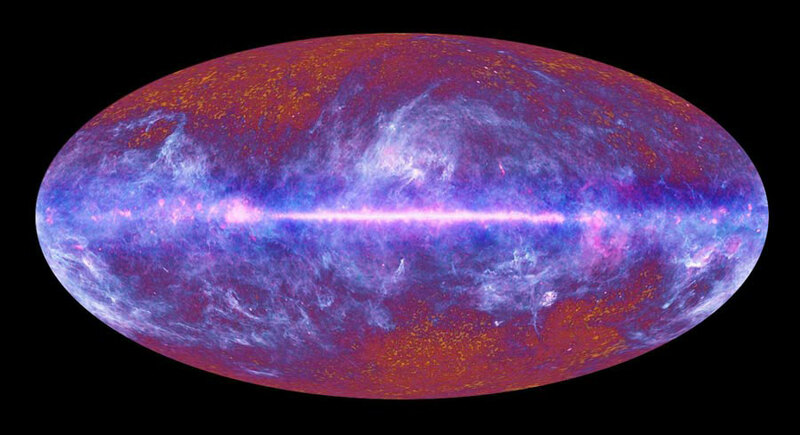 If the prediction is correct, it should be possible to test it in upcoming data from the European Space Agency’s Planck space observatory and future CMB missions, say the researchers. Yet Bennett, the principal investigator on NASA’s Wilkinson Microwave Anisotropy Probe, another CMB space observatory, thinks the detection of a cosmic wake would nonetheless be “extremely unlikely”. He says the amplitude of a wake would have to be just right: too small and we wouldn’t see it; too big and it would probably have had severe consequences for our universe’s structure. The number of collisions would also have to be “fine-tuned”, he says. The research is described in arXiv:1109.3473.